The cut is a combination of Shape and Proportions. 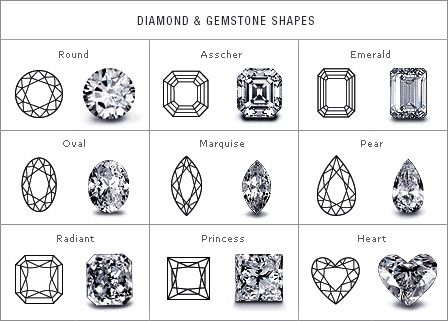 The shape describes the general outline of the stone, for example round brilliant, princess cut, pear shape, oval etc. Good proportions give better light reflection in the diamond and thus contribute to its beauty.